Established by the National Center for Assisted Living (NCAL) in 1995, National Assisted Living Week® provides a unique opportunity for residents, their loved ones, staff, volunteers, and the surrounding communities to recognize the role of assisted living in caring for America’s seniors and individuals with disabilities. The annual observance encourages assisted living communities around the country to offer a variety of events and activities to celebrate the individuals they serve, as well as to help educate members of the public about this distinctive aspect of long term care. The 2016 theme, “Keep Connected,” recognizes the increasing opportunity technology can offer to enhance the care and overall experience in assisted living communities. 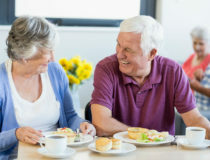 “Keep Connected” encourages assisted living communities to support opportunities for residents to use the latest communication tools to engage with the world around them. 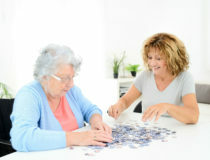 Furthermore, “Keep Connected” acknowledges the myriad ways assisted living staff and supporting business partners are revolutionizing the care provided in these communities through innovations in technology. However, “Keep Connected” is about more than technology. Assisted living reminds us that sometimes the best relationships are formed face-to-face. For many staff members, residents become family, and this bond can never be broken. Meanwhile, assisted living communities are an integral part of the larger community. Staff cultivate connections with local families, business owners, government organizations, community organizers and others to ensure that residents remain an active part of where they call home. To learn more about National Assisted Living Week, visit the National Center for Assisted Living web site.